creative savv: I was wanting to buy a 3/4 teaspoon measuring spoon . . . I was wanting to buy a 3/4 teaspoon measuring spoon . . . 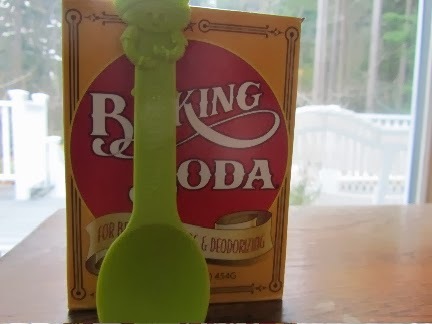 I've been needing to measure 3/4 teaspoon of baking soda, often, when swapping out baking powder for baking soda/vinegar. 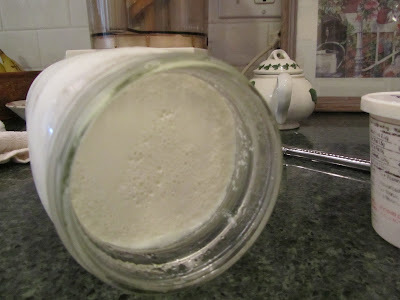 3/4 teaspoon of baking soda + 1 tablespoon vinegar = 1 tablespoon baking powder. I searched around for a 3/4 teaspoon measuring spoon, and found a couple as part of odd-size measuring spoon sets. But I was reluctant to fork over my birthday money for one of these sets, just yet. That's when it hit me. Maybe I already have a spoon that measures 3/4 teaspoon. 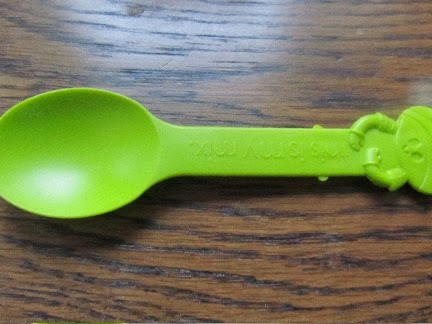 Off to my kitchen I went, opened a drawer, began measuring the capacity of various spoons, and lo and behold, a Menchie's spoon measures 3/4 teaspoon. My new measuring spoon! Isn't that great?! An awesome find! And I didn't have to buy a set to get one. Now I can get something much more fun with last year's birthday money! just a note -- this only works well with a spoon with a level edge to the bowl. Many tableware patterns don't have this level edge (bummer). Do any of you have a recommendation for girl/women sport socks? I wasn't impressed with Hanes this last time around. I'm looking for durability in a crew sock and ankle sock. Thanks so much! You guys always know what's good. How neat that you found a 3/4 teaspoon solution in your own drawer, Lili. And what a cute little spoon it is too. Now you can spend your birthday money on something fun. I bought a $50 amazon card for someone for Christmas and Amazon sent me a $10 gift card yesterday for that. I was so surprised, so I have a little bit of fun money to spend right now too. I just have to decide what to spend it on. What an awesome surprise, to get a $10 card from Amazon! I don't know if you feel this way, but as fun money feels so rare these days, I find that I am soooo careful in my spending. I want to get that one really great thing that would improve something in my life. How cool is that! Have fun with your birthday money. You deserve it. Thank you! I know, I'm tickled to have a free measuring spoon *and* still have my birthday money! On the socks, what about Gold Toe? They're probably best known for their men's dress socks, but I buy their women's crew socks. They seem durable., made of acrylic and lycra. What I think is if the socks are all cotton, they will wear out sooner than if they have acrylic in them. And acrylic wicks away moisture better than cotton. Gold Toe. I do buy their men's socks for my husband and son. I'll look for the womens, and see if they'd fit my daughters. I think you may be right about the all-cotton wearing out quickly. This last batch of Hanes were all cotton, and they developed holes quickly. Thanks for the suggestion. Have a great day! I also seem to have problems with Hanes socks wearing out quickly, and I agree with Kath, Gold Toe does seem to hold up better. A little pricier, but maybe worth it in the long run? It's good to hear that I'm not the only one who thinks Hanes wear out quickly. Sometimes I don't know if I'm the only one, or maybe being too picky. I've seen Gold Toe Men's at Marshalls. I'll check there and online for deals on womens. It's not just the cost of socks wearing out quickly, but buying quality saves me time in mending and shopping for replacement items, and it's just a better practice to keep clothing out of landfills. I'll look into thorlo. I haven't heard of them before, but maybe worth looking into. I could do something like buy 1 pair for each daughter and see if A) they like them, and B) they do last much longer for them (they are on their feet a lot, I wonder if this adds wear to something like socks). I haven't had them long enough to prove their durability, but I am enjoying some crew socks that are Wal-Mart brand and some no-show socks from No Nonsense. I also have some Hanes socks of the same age, and they seem to be wearing out the fastest. Another vote for Hanes wearing out quickly. Wow! I was beginning to wonder if I was just expecting too much from a product. But now, I feel like my concerns were valid. I'll take a look at the Wal-Mart and No Nonsense brands. Thanks for the suggestions. I think I'm going to look like the crazy sock lady, closely examining all the socks on the rack! They sell women's Gold Toe socks at Kolhs, if you happen to have a good coupon. Also, I agree with afrugalspinster's assesment of Thorlos. I have never had a pair wear out. now there's a possibility. 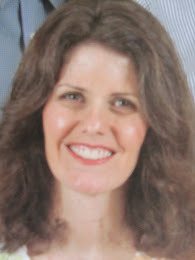 I get Kohl's $10 coupons every few months. I could get a few pairs of Gold Toe. Good to know they carry them. And another vote for Thorlo. I may just have to buy a pair for myself! Menchies is a frozen yogurt chain. One of those places where you fill your own cup. My daughters are big Menchies fans, and will part with their hard-earned pocket money from time to time. We save plastic spoons to take on road trips. Very cool about the spoon. I have had good luck so far with No Nonsense socks. Can't speak to Hanes socks, but have not been happy with how their underwear holds up .. I was thrilled with the spoon! I know, I could just continue measuring 1/4 teaspoon X 3, but I wanted something just a tad more convenient. So, for free this is great! Very interesting about Hanes underwear. I'll remember that. And another vote for No Nonsense socks. Thanks for your input!